The company's specialists can consult you about each type of coverage, they will help you to choose the type of roof that fits your home, and they also will make the installation of the roof quickly and efficiently, as well as the drainage systems and security elements. 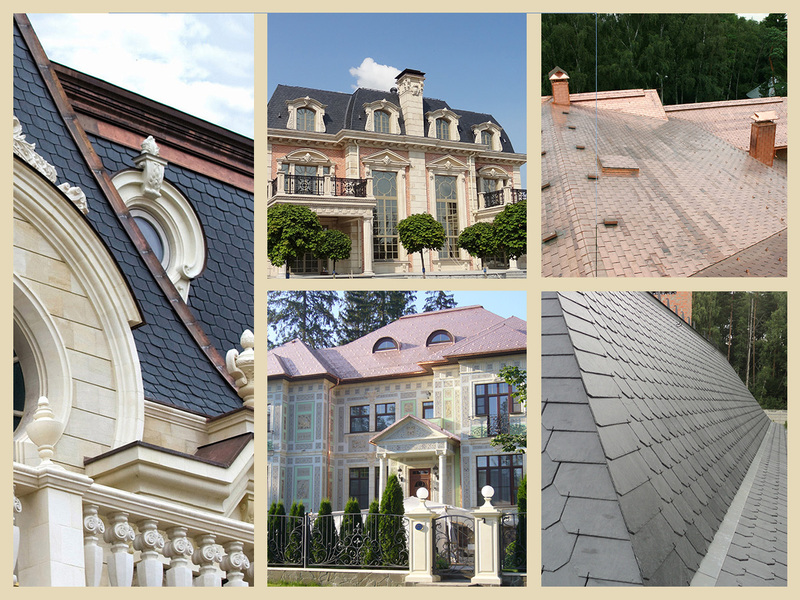 Natural slate is the highest group of roofing materials in all respects, it is not even a building material, but raw material for the master, creating a unique masterpiece. Copper roof can be compared with a hat that will not only protect from the bad weather and sun, but also an element of the image of its owner. Unsurpassed in durability, beauty and nobility the copper is the only roofing material that actually improves with age.